OK, the warmer weather has arrived (finally) for most of us in the country, and in other countries, too, so that means a whole lot of swimming pools have gotten opened and/or fired back up for the fast approaching Summer months. Awesome! Very few things take the brutal edge off of a super hot Summer day more than jumping (or walking slowly) into a swimming pool. Yep. Nice, cool pool water feels LOVELY in the hot Summer months… but the chlorine residue it can leave on your skin? Not so nice. Most people do NOT like the effects of chlorine on their skin or in their hair so as soon as they get out of the pool they immediately go and rinse off in the shower — but what happens when the shower water has chlorine int it, too? How does a person remove chlorine from their body using chlorinated water? Technically speaking, you can’t. Not SURE if your shower water has chlorine in it? 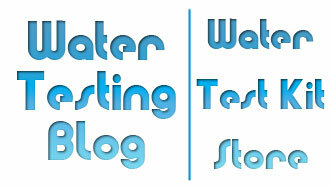 Use a simple at-home chlorine test strip and find out in seconds if your shower water has chlorine in it. For the testing we suggest using a product such as the Water Works 2 Free & Total Chlorine fest Strip from SenSafe. So now the question becomes, how does a person get ALL the chlorine off of their body? 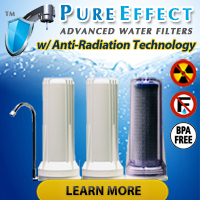 Simple: Invest a few bucks in a chlorine removing shower head like the one below which removes 99% of Chlorine and also removes, or significantly reduces amounts of, Hydrogen Sulfide, Lead, Arsenic, Mercury, Iron, Calcium Carbonate, Magnesium, Bacteria, Fungi, Algae, Cadmium, Chromium and Selenium in shower water. In case you didn’t notice this particular shower head features a ‘European-style sunflower rainfall shower head’ that allows chlorine-free shower water to fall down gently all over and around a person and with the ’10” Hi-Low shower arm’ which allows for a maximum 20″ height and a plethora of angle adjustments, even tall people can get clean comfortably. How Often Will I Have to Replace the Filter? — Each filter will work at its fullest filtering capabilities for approximately 10,000 gallons. Difficult to Replace the Filter? — Not at all. 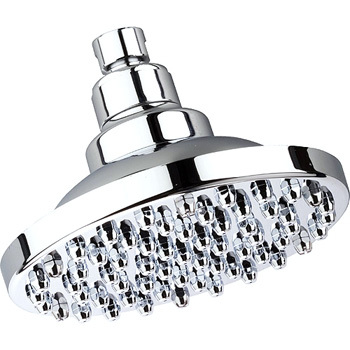 Simply remove 6 screws around the perimeter of the shower head doubling as functional nozzles and the bottom plate of the shower head will come off to reveal the shower filter cartridge. Expensive Replacement Filters? — Absolutely not! Replacement filter cartridges for this unit cost around $20 apiece.